You may have heard of the trillion dollar capped tech giant Tencent Holdings Pty Ltd. If not, surely you've heard of WeChat – an entity owned by Tencent – and maybe even used it at some time. WeChat has over 1 billion users, with 900 million using WeChat Pay – the preferred payment platform used by Chinese travellers overseas. So what is the connection between this major China powerhouse, with revenues of ¥73.7 billion (A$14.8B) and a small Australian ASX-listed outfit? The answer is China’s Winning Group Holdings. And the connection is more than just six degrees of separation. In fact, it has everything to do with WeChat. China’s Winning Group, a highly valued and very select partner of Tencent, has selected Invigor Group (ASX:IVO) to help it expand WeChat Pay throughout key South-East Asian markets, initially in Hong Kong and Singapore. IVO has signed a 36-month term Memorandum of Understanding (MoU) with Winning Group that will not only see IVO expand WeChat services, but will enable this small Australian tech play to integrate its proprietary Loyalty solution into the WeChat platform. Essentially IVO’s Loyalty solution will now be integrated into one of the world’s fastest growing and most recognized global payment and transaction platforms. 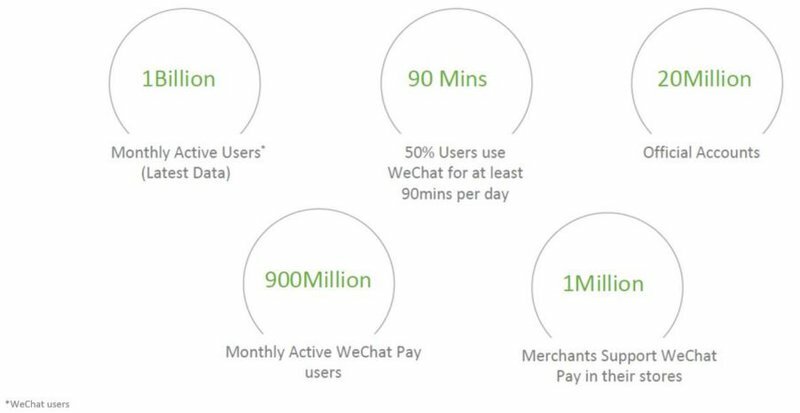 Remember, there are already over 900 million users using WeChat Pay. Of course it is a very early stage in the life of this MoU, so investors should seek professional financial advice if considering this stock for their portfolio. We will look at the Loyalty solution in more detail shortly, but the Winning Group MoU will also give IVO three further streams of revenue. A percentage of transaction revenue (currently estimated at 0.5%) from merchants using WeChat Pay when introduced/acquired by IVO. Advertising revenue when either party initiates a marketing/promotional campaign with a merchant. Transaction fees from merchants based on sales revenue when IVO’s Loyalty solution is deployed. IVO has labelled this MoU with Winning Group as ‘groundbreaking’ and it could certainly be the kickstart this $8.5 million capped junior needs to give its market cap a much needed boost. Response to the news was certainly positive with the company’s share price rising 100% on the back of the release. The company is now working hard to quickly deploy its WeChat solution, so with that in mind let’s take a deeper look at the MoU, the power of Tencent’s WeChat platform, Winning Group’s winning business model and how IVO can capitalise on this. 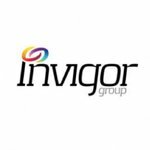 We have covered Invigor Group (ASX:IVO) quite extensively in the past, however it has been almost 10 months since we last caught up with the company. In that time IVO has experienced the highs and lows most small caps do, but with its latest deal, it could reach heights previously unseen. Since our last coverage in December 17, there have been significant developments. In May, IVO strengthened its balance sheet by divesting the Condat arm of the business for $3.8 million, with the money used to repay $3.6 million in debt. IVO also announced at that time that it was looking at ways to roll out a digital token as part of its loyalty solution. There was further good news in the middle of the year when IVO executed a MoU with US based Neal Analytics. The American company was a Microsoft Global Partner of the Year for Business Analytics and its clients include iconic retailers such as Coca-Cola, H&R Block and Macy’s/Bloomingdales. Under that MoU the companies set out to strengthen and promote each other’s data driven solutions throughout Australia, Asia and North America. IVO provided Neal Analytics with its competitive pricing and promotional intelligence. Now, following the completion of a capital raising to raise $668,000, IVO has its sights set on strengthening its core Pricing and Loyalty operations, which brings us to the recently signed MoU with Winning Group. China’s Winning Group is one of only a number of global solutions providers for WeChat International services. This is a big deal. WeChat is owned by Tencent Holdings (HKG:0700), the global tech giant that was the country’s first US$500 billion capped company. 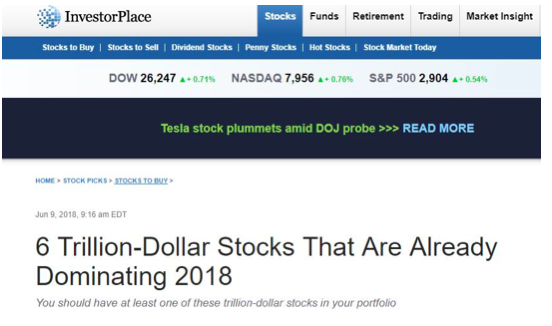 In fact Tencent was recently named as a potential trillion-dollar stock set to dominate in 2018. Could Tencent be a trillion dollar stock? So what is the connection between Tencent and IVO? IVO has executed what could be a game changing MoU with Tencent partner Winning Group Holdings — a global solutions provider for WeChat international services, including mobile payments, applications, development and other related services. Under the terms of the MoU, IVO will partner with Winning Group to market and enhance WeChat Services, including WeChat Pay to the South-East Asian market. Initial targets will be Singapore and Hong Kong, but given the deal aligns with Tencent’s strategy to rigorously expand the WeChat Smart ecosystem outside of China into the global market, where there is growing demand, it shouldn’t be too long before we see a roll-out into the broader South-East Asian market. It is no wonder then that IVO has jumped at the chance to form this partnership. Although how many of WeChat’s users IVO is able to attract remains to be seen, so investors should take a cautious approach to any investment decision made with regard to this stock. Its simplicity of use, broad appeal and retail reach is impressive and fits with IVO’s own expansion plans. It also fits nicely with IVO’s Loyalty solution, which is designed to engage and reward customers in a personalised way to improve frequency, loyalty, conversion and spend. IVO is confident this MoU will have several benefits, including expanding its Loyalty solution. The agreement covers the integration of IVO’s proprietary loyalty solution into the WeChat platform. The Loyalty solution provided by IVO is designed to create a compelling proposition for merchants that use WeChat Pay. 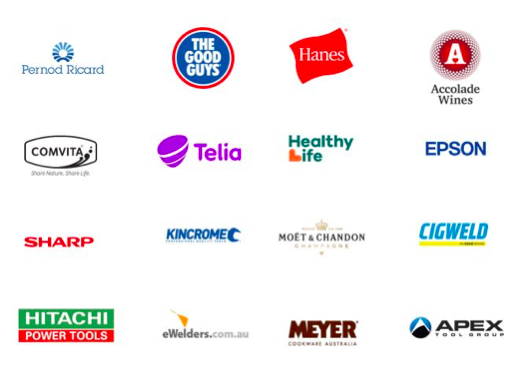 The integration of IVO’s Loyalty solution is a win-win for all parties. Winning Group reaps substantial benefits from IVO’s Loyalty solution and its ability to be integrated into WeChat’s established payments and multi-transaction offering. Merchants — including bricks and mortar retailers, online stores, shopping malls, hotels, restaurants, booking agents and service provider — will also benefit from the enhanced WeChat Pay with embedded Invigor technology. During this initial three-month period, IVO will look to secure merchant agreements that recognise the benefits of being part of the WeChat ecosystem. IVO already has a solid footprint of large shopping malls and merchants that are seeking ways to deliver a better shopping experience, including local shoppers and inbound Chinese tourists that are all avid users of the WeChat ecosystem. IVO will use its established operations in Asia to introduce new merchants to WeChat Pay. IVO CEO, Gary Cohen has called the MoUground-breaking for Invigor as it integrates its highly regarded Loyalty solution into one of the world’s fastest growing and most recognised global payment and transaction platforms. The aim now is to position IVO through its solutions as globally significant commerce company with tremendous scale and reach. What better way to do this than on the back of the many millions of users that WeChat and Tencent will provideto IVO. IVO will now build on its already excellent working relationship with Winning Group and focus on a very quick deployment, which means regular updates from the company and plenty of news flow about the MoU’s progress. We have spoken at length about the current deal... and for good reason. However, let’s have a quick look at IVO’s overall business model. Essentially IVO uses data to drive profitable commerce. In terms of its Loyalty solution, IVO offers a collection of data and insights into drivers of customer visits, purchase, and lifetime value. This data leads to campaign recommendations and content automation that improves a customer’s shopping experience while allowing retailers and brands to effectively engage with their customers in a more personalised, data-driven and profitable way, leading to increased sales. Not only that, but it also delivers an uplift in traffic and improved ROI (return on investment). Finally, IVO’S Field Management solution can be used by customers to better manage their mobile workforce by saving time and increasing customer lifetime value. There are two modules to this. The dispatch module facilitates planning and monitoring at head office and the mobile module is an on-site order and field force management solution. All in all, IVO’s solutions come down to client and customer satisfaction, which means everybody opting into the retail experience gets what they want the majority of the time. IVO has moved its sales towards a more transaction-based model, with an emphasis on strategic opportunities that could lead to greater revenue synergies. In doing so, it has now attracted the attention of some big players in the retail market; the latest is Winning Group. The recently inked MoU with Winning Group enables it to implement its data solutions into one of the biggest communication platforms in the world: WeChat, owned by one of the biggest companies in the world Tencent. However, as stated this is still an early stage agreement and investors should seek professional financial advice for further information if considering this stock for their portfolio. We started this article by asking what is the relationship between Tencent and IVO. Right now, the connection is via Winning Group and no doubt, IVO will be looking to make a good impression. If it does complete its mission in expanding WeChat Pay into Southeast Asia through this MoU, then is it inconceivable that Tencent would take greater notice?